Works on Trident Park, a redevelopment project of the old Farsons Brewery site in Mrieħel consisting of Grade A offices, car parking facilities and extensive landscaped gardens designed by internationally renowned Ian Ritchie Architects, is well under way. Trident Park Limited is relocating seven palm trees to ensure that no damage is caused to the trees during the construction process. 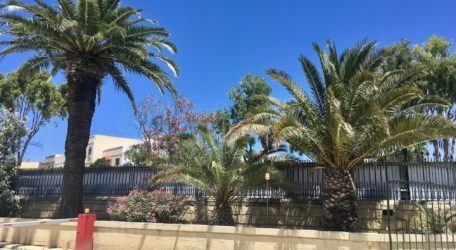 They consist of two large and three small Phoenix Canariensis and two large Washingtonia Filifera, with the larger trees thought to be some seventy years old. This work is being carried out during the hot season as it permits a successful transplantation process. The company engaged an experienced landscaping contractor, supervised by an expert horticulturist, to protect these species and to ensure that the process is done professionally. 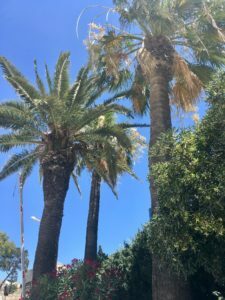 Three Phoenix Canariensis will be transplanted in front of Farsonsdirect outlet on Triq l-Imdina, and the other four trees will be relocated within the Farsons Brewery grounds on Triq 3 ta’ Settembru 1798. Trident Park Limited is a subsidiary of Trident Estates plc, a listed company on the Malta Stock Exchange.